Why did outlaws kidnap a minister? Where were the saloons? Did one lawman really shoot another? What famous boxer fought here? 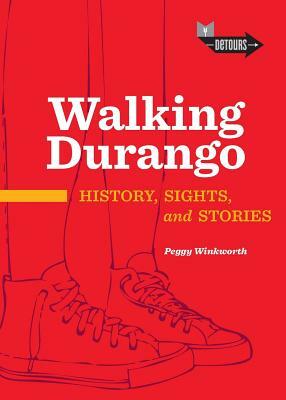 First in the new Detours series, Walking Durango is a fun history scavenger hunt for all ages. Whether you're a first-time visitor or a long-time resident, this smart little book will keep you looking, learning, and laughing as you stroll the streets of Durango, Colorado's Historic Districts.